Sharon Carson is a Chester Fritz Distinguished Professor of English and Religious Studies at the University of North Dakota. Her research interests include American literature and social philosophy, the literature of the American left, comparative religions and literatures, Black literatures and interdisciplinary Black studies, public humanities, and cross-national and comparative studies. Following her previous stay in May 2016, she will again be joining the IRTG Diversity in Trier as visiting professor in September 2018. 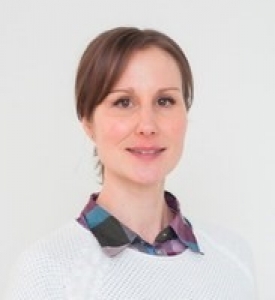 Katharina Wiedlack is currently Hertha Firnberg post-doc Research Fellow at the Department for English and American Studies, University of Vienna. She holds a diploma in German Literature and Gender Studies and a doctoral degree in English and American Studies from the University of Vienna. Her research fields are queer and feminist theory, popular culture, post-socialist, decolonial and disability studies. Currently, she works on a research project on the construction of Russia’s most vulnerable citizens within Western media. She will be joining the IRTG Diversity as visiting scholar in Saarbrücken for the first week of July 2018 and present a public lecture in the context of the exhibition “In the Cut: Der Männliche Körper in der Feministischen Kunst,” entitled “United in Pop Culture: The USA, Russia, Solidarity, and Queer and Feminist Resistance” (July 3 2018, 18:00, Stadtgalerie Saarbrücken). 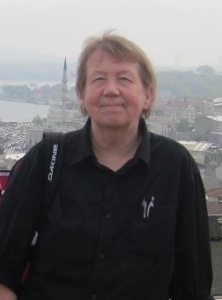 Rosalind J. Beiler is Associate Professor of History at the University of Central Florida, Orlando, USA. Her research focuses on migration in the early modern Atlantic world. Most recently, she co-edited Kathryn E. Wilson a special issue of Pennsylvania Magazine of History and Biography on Immigration and Ethnicity in Pennsylvania History. Her first book, Immigrant and Entrepreneur: The Atlantic World of Caspar Wistar, 1650-1750, examines the process of cultural adaptation and change through the lens of one eighteenth-century German-speaking immigrant to the British colonies. Her current book-length project explores the communication networks of religious minorities in seventeenth-century Europe and traces how they shifted migration streams to the British colonies in the early eighteenth century. Beiler has conducted research as a fellow at the Charles Warren Center for Studies in American History at Harvard University, a Senior Fulbright Scholar in Berlin Germany, and a National Endowment for the Humanities fellow at the Library Company of Philadelphia. She has presented her work at conferences in the United States, the United Kingdom, Germany, and the Netherlands. She will join the IRTG Diversity at Trier University June to August 2018. 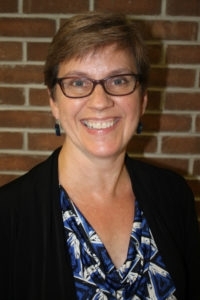 Emma Anderson is Professor of Religious Studies and the former Director of the Institute of Canadian and Aboriginal Studies at the University of Ottawa in Canada. She will join the IRTG Diversity in Trier as Visiting Professor in June and July 2018. Her primary area of research targets Indigenous-Catholic religious interactions in North America since the seventeenth century. Anderson is the author of two books on the subject, both published by the presses of her alma mater, Harvard University. Her first book, The Betrayal of Faith: The Tragic Journey of a Colonial Native Convert (2007) is an intimate biography of an Indigenous youth sent to France for education and baptism in the 1620s. Her second work, The Death and Afterlife of the North American Martyrs (2011), is a more sweeping account of the ongoing veneration of eight Jesuit missionaries killed by Native people in the 1640s. Her current research focuses on Indigenous theological and epistemic contributions to European intellectual history: arguing that Indigenous peoples’ unique ideas fueled the Enlightenment. While in Trier Anderson will offer a one-week intensive course, North American Indigenous Encounters with Christianity. She will also present a public lecture entitled "Enlightened before the Enlightenment: Native Peoples, the Jesuit Relations, and the Indigenization of European Society" (July 10 2018, 18:00, Room B14, Trier University). 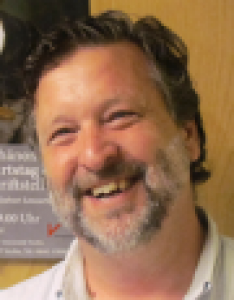 Paul Morris is professor of Comparative Literatures at the Université de Saint Boniface, Winnipeg. 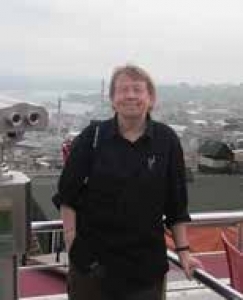 He is an expert on Canadian literatures, Comparative and Transcultural Studies, and Translation Studies. He received his habilitation from the Universität des Saarlandes. Having been IRTG visiting professor in the summers of 2013 and 2015, he will return to the IRTG Diversity in Saarbrücken as visiting professor for June 2018. Amongst other things, Paul Morris will teach a seminar on "Writing History, Reading the Nation: Contemporary Canadian Historical Fiction". 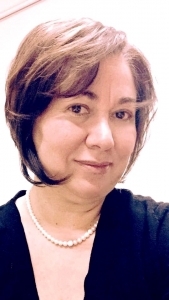 Marciana Popescu has been working in the field of international social development for over 20 years, with international organizations and educational institutions in multiple countries. Since 2006, she was appointed as an associate professor at Fordham University, Graduate School of Social Service. Over the past 10 years at Fordham she developed and taught courses in International Social Development (with study tours/experiential learning components in the Dominican Republic, Haiti and Peru), Community Participation in Emergency Response (developed and taught for the Masters in International Humanitarian Affairs – targeting humanitarian workers around the world), and the International Nonprofits course (for the Masters in Nonprofit Leadership) providing learners with opprotunities to increase their knowledge on global issues, social development and the role of international nonprofits, and develop their critical thinking by applying this knowledge to analyzing existing strategies for sustainable development, and developing new innovative solutions. 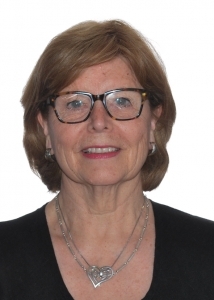 Her research interests include women’s rights, empowerment strategies for women, international interdisciplinary social work education, program evaluation, forced migration, and the role of international organizations in addressing global issues and working with governments and communities to develop rights-based policies and programs. She has given a guest lecture under the title "The Global Compact on Refugees: Implications for Local Migration Policies“. 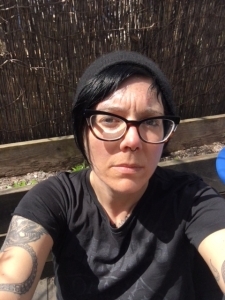 Kati Dlaske is a post-doctoral researcher at ReCLaS (Research Collegium for Language in Changing Society) at the Department of Language and Communication Studies at the University of Jyväskylä, Finland. She joined the IRTG Diversity as a visiting scholar for the summer term 2017 and will do so again in January and February 2018. Drawing on the perspectives of multimodal critical discourse studies and ethnographic approaches. Dr. Dlaske’s work has examined the effects of contemporary globalization and the rise of the new economy on “peripheral” minority language sites and ethno-linguistic communities, with a focus on the indigenous Sàmi people in the north of Finland. Another strand of her research deals with the politics of popular culture from the point of view of gender and ethno-linguistic minorities. Her work has been published in a number of international journals, including Social Semiotics, Journal of Multicultural Discourses, Gender and Language, Multilingua, Discourse and Communication and CADAAD Journal. 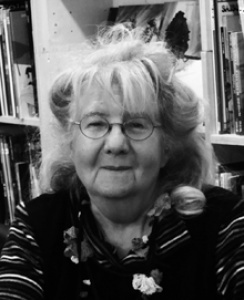 Jean Friesen is a Senior Scholar at the University of Manitoba where she taught the history of Indigenous - Settler relations and Public History until her retirement in 2016. She was previously the western Canada historian at the National Museum of Canada and after coming to Manitoba in 1973 also served as a Governor of the Manitoba Museum. She was the founding editor of the journal Manitoba History and Chair of the Manitoba Heritage Council. In 1990, 1995 and 1999 she was elected to the Manitoba Legislature for the Wolseley constituency and in 1999 became Minister of Intergovernmental Affairs and Deputy Premier. She continues to be an active member of the Speakers' Bureau of the Treaty Commission of Manitoba. Her research has focused on 19th century British missions in British Columbia and on the treaties of Canada with the Indigenous peoples of the west, particularly Treaty 1. 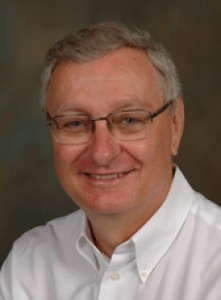 Gerald Friesen (University of Manitoba, Department of History) has written works on the history of communications in Canada, Indigenous history and immigrant integration. His most popular book, The Canadian Prairies: A History (1984), won the John A. Macdonald Prize and a Clio Award from the Canadian Historical Association. 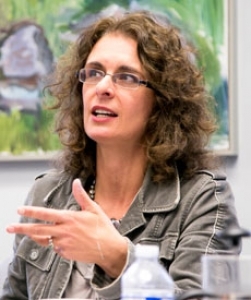 Friesen’s other works include Citizens and Nations (2000), Immigrants in Prairie Cities (co-author, 2009) and Canadians and Their Pasts (co-author, 2013). 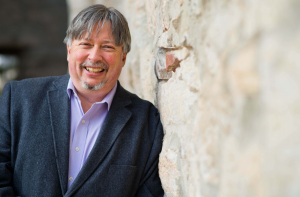 He has been a mentor to many students, an advisor on CBC-Radio Canada’s television series Canada: A People’s History, president of the Canadian Historical Association, and a board member of the Friends of Upper Fort Garry. He is a fellow of the Royal Society of Canada and the recipient of the Tyrrell medal. 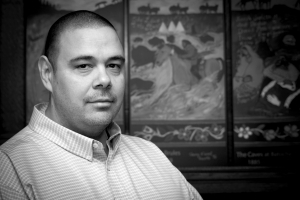 From July 3 to July 8, 2016, Chris Andersen, Professor in the Faculty of Native Studies at the University of Alberta, spent time at the IRTG Diversity at the U of Trier, advising both advanced and new PhD researchers on the development of the theses and giving a guest lecture on “'Intimate archives' of Indigenous modernity: Complicating Canada’s national life history through photographs" (July 6, 2016). 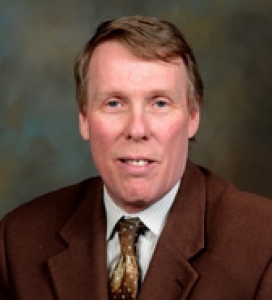 During the summer term of 2016, James Fergusson (Director or the Centre for Defence and Security Studies, and Professor in the Department of Political Studies at the University of Manitoba) was the Trier Centre for Canadian Studies' Visiting Professor and also functioned as a Visiting Scholar of the IRTG Diversity. He taught classes in the Department of English, was available for consultations with the IRTG Diversity's PhD researchers, and gave numerous lectures at the University of Trier. In the IRTG Diversity's series of guest lectures, he contributed the talk: "Diversity and the Canadian Armed Forces" (15 June 2016,U of Trier, B 16). 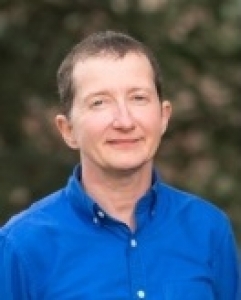 Sharon Carson (University of North Dakota / English, Philosophy, Religious Studies) joined the IRTG Diversity as Visiting Professor in Trier for the month of May of 2016. She led a working session on the topic of "Mediated Memory-scapes: Sites, Sounds, Transnational Refractions" with the IRTG Diversity's second Trier and Saarbrücken cohort, and most importantly, advised all of the IRTG's new doctoral students on the German side regarding their PhD projects. "Présence africaine en France - littérature, société, médias: pour une inscription dans quel champ, littéraire ou social?" 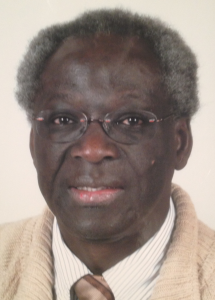 (3 November 2015, 18h, C.5.2., Lecture Hall 401) / "Croisements de cultures: Perceptions africaines de la diversité (des années 1920 à 2005: de Senghor à Mabanckou)“ (12 November 2015, 18h, C.5.2., Lecture Hall 401) / "Les écrivains africains subsahariens migrants: Ecriture et émigration" (17 November 2015, 18h, C.5.2., Lecture Hall 401) / "La francophonie littéraire en débat: L. S. Senghor, Sony Labou Tansi, Patrice Nganang" (18 November 2015, 10:15h, A.2.2, Room 1.22). 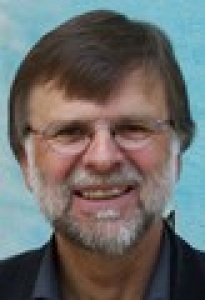 Dr. Paul Morris is professor of Comparative Literatures at the Université de Saint Boniface, Winnipeg. Having been IRTG visiting professor in the summer of 2013, he returned as an IRTG Diversity visiting professor in the summer of 2015, providing our PhD students with advice on the progress of their projects. He also offered two seminars - on "The Métis in Canadian Literature" (08/June/2015-19/June/2015) and "La culture francophone dans le cinéma anglo-canadien" (13/July/2015-24/July/2015) - and took part in the IRTG's networking conference on "Liminality". 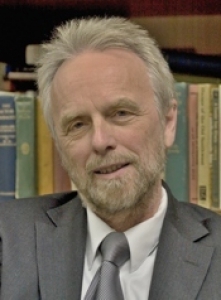 Winfried Fluck, Professor and Chair of American Studies, John F. Kennedy-Institute for North American Studies, Freie Universität Berlin, i.R. sowie Co-Director, Dartmouth Instiute „The Future of American Studies“, Dartmouth College, war in der Zeit vom 30. Oktober bis 30. November 2014 Visiting Fellow des Historisch-Kulturwissenschaftlichen Forschungszentrums (HKFZ) Trier. Seine Einladung erfolgte in Kooperation mit dem IRTG Diversity an der Universität Trier. The IRTG Diversity is happy to announce Dr. Régine Robin as a visiting professor in June 2014. Dr. Robin is a professor at the Department of Sociology at the Université du Québec à Montréal. 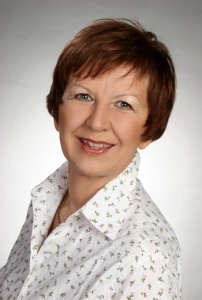 In May and June 2014, the IRTG Diversity is happy to host Dr. Doris Bachmann Medick as a visiting professor. 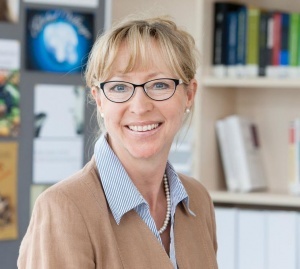 Dr. Bachmann-Medick is Permanent Senior Research Fellow at the University of Gießen's International Graduate Centre for the Study of Culture (GCSC). 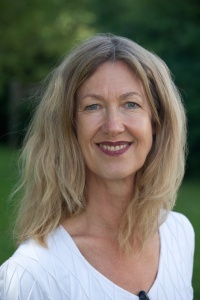 Dr. Claudia Mayer is professor of Media Studies and Communication at the Fachhochschule Aachen (see http://www.fh-aachen.de/menschen/cmayer/zur-person/ ). She has been advising the IRTG Diversity and its PhD students and researchers in matters of communication and the use of new media since the summer term of 2013.